Featuring a signature ribbon design mimicking the full-bustled, layered skirt of Cinderella’s magical blue ball gown, the rings in Brilliance’s Cinderella Collection capture the fairy-tale beauty and elegance of any couple’s storybook romance. The collection features three rings—two engagement ring settings and one wedding band design—all set in white or yellow gold or platinum. A “Yes” from any future bride begins a new journey in a couple’s own unique love story. The Cinderella Collection engagement rings combine fairy-tale beauty with sleek sophistication. Two engagement ring designs offer choices to suit any future bride. Both feature the collection’s signature double-tiered ribbon design. 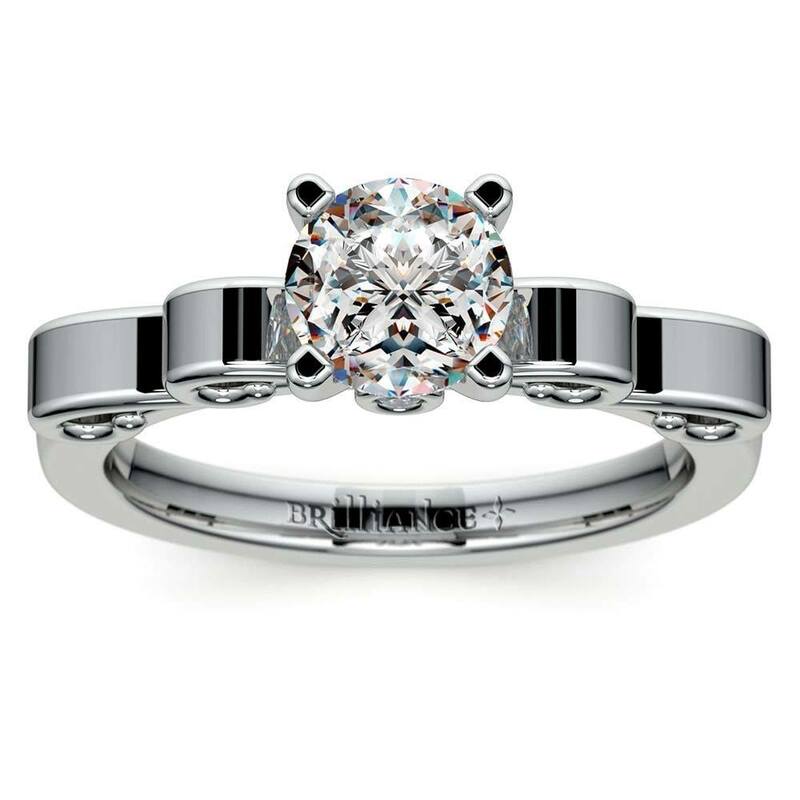 For the bride that wants simplistic storybook elegance, the Cinderella Collection offers an elegant solitaire setting. The signature ribbon design provides both a touch of romance and timeless sophistication as well as a sweet and simple, yet still classic, touch of fairytale beauty. The double tiered ribbons border a royal-worthy crown mounting awaiting the diamond solitaire of your choice. Suitable for all diamond cuts and sizes, the crown mount may also be set with a colored gemstone to add further intrigue. Nestled beneath the center mounting are two bezel set diamonds offering a spark of fairytale magic. Future brides who wish for the maximum amount of storybook enchantment will find inspiration in the Cinderella Collection’s Diamond Ribbon engagement ring setting. The double-tiered ribbon design encrusted with 16 pavé round diamonds borders a majestic crown mounting that awaits a magnificent choice of center stone. 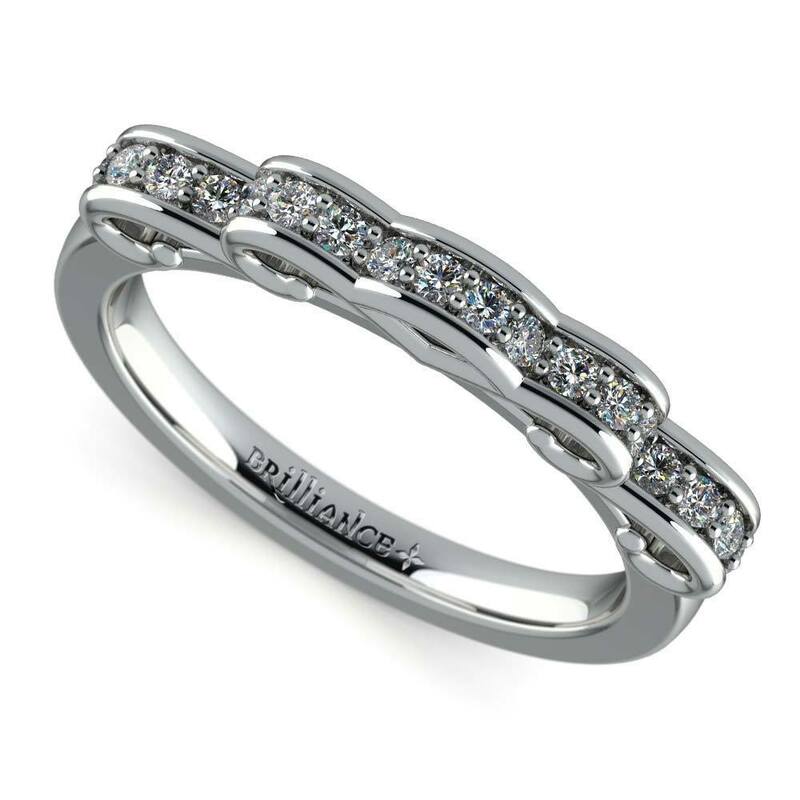 Two bezel set diamonds are tucked discreetly into the sides of the mounting for a dazzling effect. The mirror-like quality of the setting allows for the dazzling diamond magic of the ring to shine and evokes images of Cinderella’s transformation from resigned maid to sparkling princess. Seal the “I Do!” with a ring that signifies a fairy-tale ending. Paired with either of the engagement ring choices, the wedding band further elevates the magic of the Cinderella Collection. Set with 18 pavé round diamonds, the elegant swirled ribbon design captures the moments of whirling magic sparks that surround Cinderella and transforms her into the princess who wins the heart of the handsome prince. The band, paired with either of the engagement ring designs in the Cinderella Collection, creates a most spellbinding, storybook look. 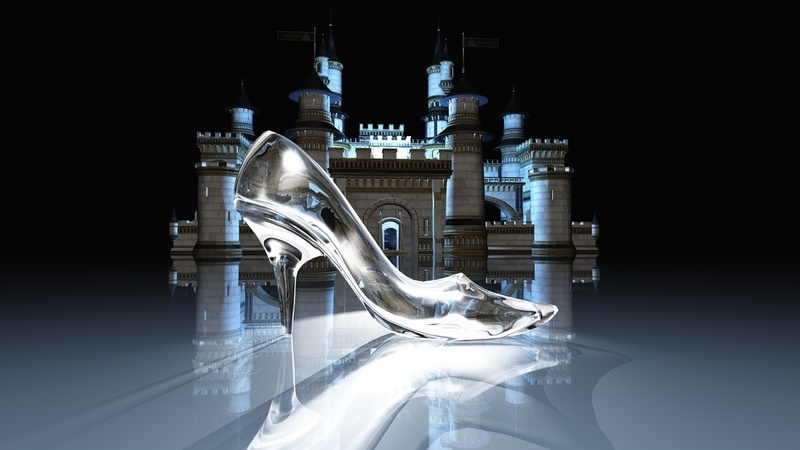 The Cinderella Collection allows every woman to embrace her own inner princess. Each ring in the collection is designed to evoke magic and fairytale beauty. The whimsical and sleek ribbon design reminds the wearer of a storybook tale of romance and promise. Say “Yes” to the spellbinding enchantment of the engagement and then say “I Do” to a happily ever after marked by a perfect fairy-tale wedding. Unlike the fairy tale, the magic of the Cinderella Collection doesn’t end when the clock strikes midnight. The enchantment of these rings last a lifetime.